Morning meet with our representative and then we will drive to the beautiful hill station Madikeri, the district headquarters of Coorg (Kodagu). It was previously known as Muddurajakeri which was named after the first ruler Mudduraja from this place since 1681, later it became Madikeri. 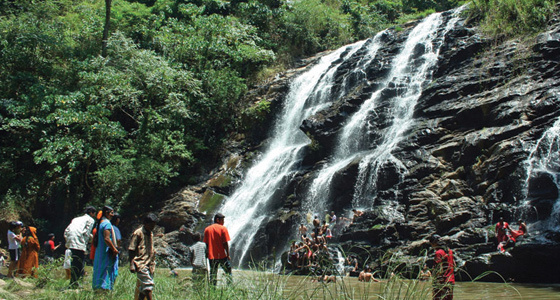 It is the most picturesque town of Coorg having lots of picnic spots in and around. It is very popular hill station among the tourist. 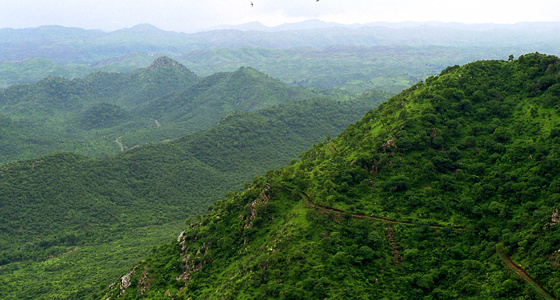 It is situated at an altitude of 1061 mt which features a tropical highland climate and lies in the Western Ghats. Madikeri is often referred to as the Scotland of India for its very beautiful hill station with mild climate during the summer. For its scenic spots sometimes referred to as Mini Kashmir. Upon arrival check into the hill resort. Evening free at this blessing place, the gift of God presented here. Overnight stay at resort. This morning we will go on a half day excursion around Madikeri visiting The Madikeri Palace or Fort, Omkareshwar Temple, Raja's seat, Abbi etc, which are located in very close vicinity. 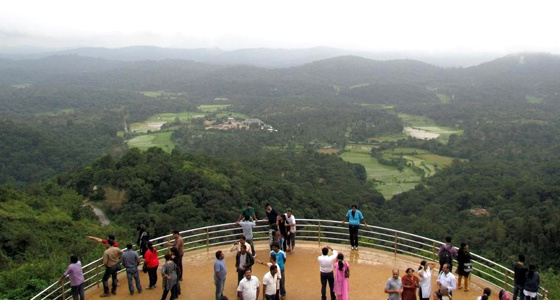 First we will visit Raja's seat – locate just 1 ½ km from Madikeri, this is one of the most enchanting place in Madikeri, and once it was the preferred place of recreation for the Rajas and hence was permanently associated with them. It is built on a high level ground with a commanding view of the cliffs and valleys to the west. Once can have the enchanting views of the sunrise and sunset from here. 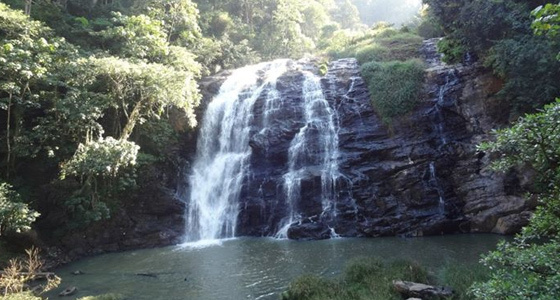 Later we will drive to visit the Abbi falls - located around 8 kms from the town of Madikeri, is situated between coffee plantations, spice estates and green trees where several streams join from the mountains and gush down to join the Kaveri River. Abby cascades 70 ft down to flow as a small river and the falls appear suddenly, the water cascading over rocks into calm pools. Enjoy the gushing, roaring beauty but a desire to take a dip in the cool waters may prove to be risky. While returning we will visit Omkareshwar temple – it is located just 1 km from the heart of the Madikeri. In 1820 a significant building built by Linga Rajendra was Omkareshwara temple. It has both Islamic and Gothic style of architecture. There is a tank in front of the temple & a footpath leading to a small "Mantap". According to the legends, the Shiva Lingam worshipped in the temple has been imported from the sacred city of Varanasi. The Madikeri Palace or Fort – the palace of the erstwhile kings located inside the Madikeri For and now it houses the offices of the Deputy Commissioner of Coorg. The museum inside the fort is run by the state archaeology department. The museum is a source of many antiques of Coorg. The original mud fort was rebuilt in stone by Tipu Sultan. Two life-size elephants made of mortar. Once can also visit the Mahatma Gandhi Public Library, the Kote Maha Ganapathi temple and the district prison all are located inside the fort. Later return to the resort for lunch. Enjoy the rest of the day in the lap of nature. Overnight stay at resort. After breakfast we will leave for Bangalore with the lingering memories of Madikeri.